A: On Dec 20, 2018 Autodesk announced that it signed an agreement to acquire BuildingConnected, a leading preconstruction platform, for $275 million net of cash acquired. The acquisition was completed on January 23, 2019. This acquisition will add bid management, risk analysis, and other preconstruction solutions to Autodesk’s construction portfolio. In addition, BuildingConnected’s network presents an opportunity to create a robust digital marketplace for construction goods and services. Q: Why is Autodesk investing in construction technology? A: Autodesk is investing in digitizing and automating construction workflows to improve collaboration, quality, safety and productivity. Autodesk’s goal is to connect construction processes across design, build and operate. The combined power of BuildingConnected, along with Autodesk BIM 360, Revit, AutoCAD, and our acquisitions of PlanGrid and Assemble Systems, gives us a comprehensive construction offering and go to market capabilities that addresses the critical processes and workflows across the project lifecycle. We look forward to integrating our recent acquisitions and contributing to Autodesk’s next billion-dollar business. Q: What does BuildingConnected do? more efficiently with each other. Q: How many employees does BuildingConnected have? Q: What are BuildingConnected’s origins? A: BuildingConnected was founded in 2012 and is headquartered in San Francisco. The company aims to improve the lives, jobs, and relationships of millions of hardworking construction professionals worldwide by building easy-to-use products that improve the preconstruction process. Q: Who is BuildingConnected’s executive team? A: Dustin DeVan, CEO and co-founder, and Jesse Pederson, CTO and co-founder. Q: Who are BuildingConnected’s customers and how many are there? A: BuildingConnected has built a network of more than 700,000 construction professionals, helping real estate owners and general contractors find and hire qualified contractors for their projects. It is the largest and fastest-growing digital network of construction professionals. BuildingConnected’s customers include Turner Construction, McCarthy, Mortenson, StructureTone, Skanska, Clark Construction, Ryan Companies and AECOM. Q: Why is Autodesk acquiring BuildingConnected? Q: How will Autodesk integrate the BuildingConnected team? A: BuildingConnected CEO Dustin DeVan will join the Autodesk Construction Solutions team, under Vice President and General Manager, Jim Lynch. At close, all BuildingConnected teams, including sales and marketing, will continue reporting to Dustin. Q: What is the BuildingConnected product integration plan? A: Over time, we will build workflows that allow general contractors to populate the BuildingConnected bid package with sheets and model views from BIM 360, PlanGrid, Assemble and Revit. Likewise, when subcontractors view a bid, they’ll be able to view the project bid documents using a combination of our BIM 360, PlanGrid and Forge technology. Q: Does BuildingConnected overlap with BIM 360? A: There is no overlap between BuildingConnected and BIM 360. They are complementary technologies. 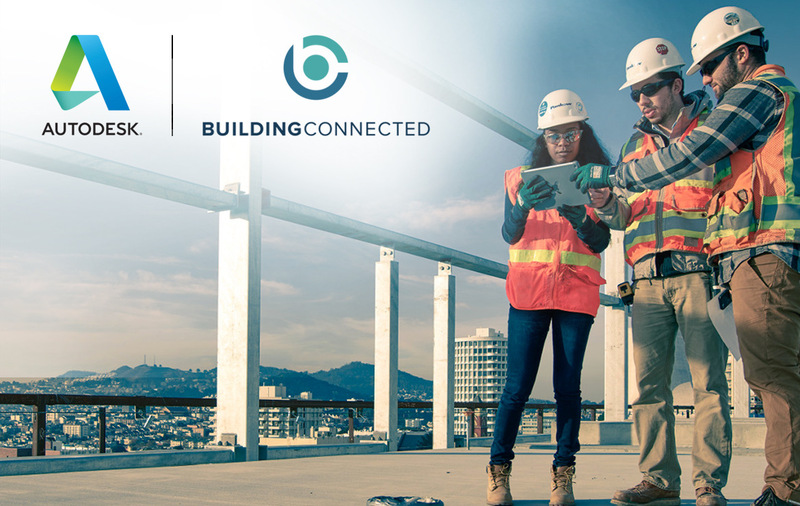 BuildingConnected is a leading preconstruction platform that helps general contractors efficiently review and select qualified subcontractors during the fast-paced procurement process, without missing critical factors like safety compliance and past performance. BIM 360 is a comprehensive unified platform that connects project data in real-time from multiple sources across the design and construction phases. This powerful platform helps project teams address key workflows like collaboration, constructability, quality, project controls, and document management so they can address immediate tasks and control overall project performance. Q: How is BIM 360 performing? A: We’ve been successful in expanding our construction and project delivery toolset with the BIM 360 platform. We’re seeing good momentum and validation of our mission to digitize, automate, and optimize construction workflows – specifically, our ability to connect data and processes from design, preconstruction, site execution and handover to operations. Q: How will this acquisition impact the BIM 360 roadmap? A: We’re excited about and committed to the BIM 360 roadmap and to a bid-management platform solution for construction. We will continue developing and expanding BIM 360 functionality and integrate BuildingConnected to deliver a broader set of construction workflows. Q: Where can I get more information about the acquisition?